I have major mummy envy. All the other babies and toddlers I see are immaculate. Peachy skin, golden hair and clean clothes. All wearing light colours without a care in the world. But Dexter, well anything past10am and he just looks like a dishevelled mess. I know boys will be boys but considering he can’t yet walk its only really me to blame for the mess he gets into. He’s a very “wet” boy. Constant dribble and puke down his clothes mean that I change him at least twice a day. And yes I’ve tried the dribble bibs. The little sod just eats them and makes them even wetter. His puke is luminous now he’s on solids. What is it doing to his insides if it doesn’t come out of his cotton clothes on a 40C wash? An average day in our house is like playing Russian Roulette. “Can I bounce my baby boy yet? It’s been 2 hours since he had anything to eat surely he’s digested it all by now…” SPLASH!!!!! 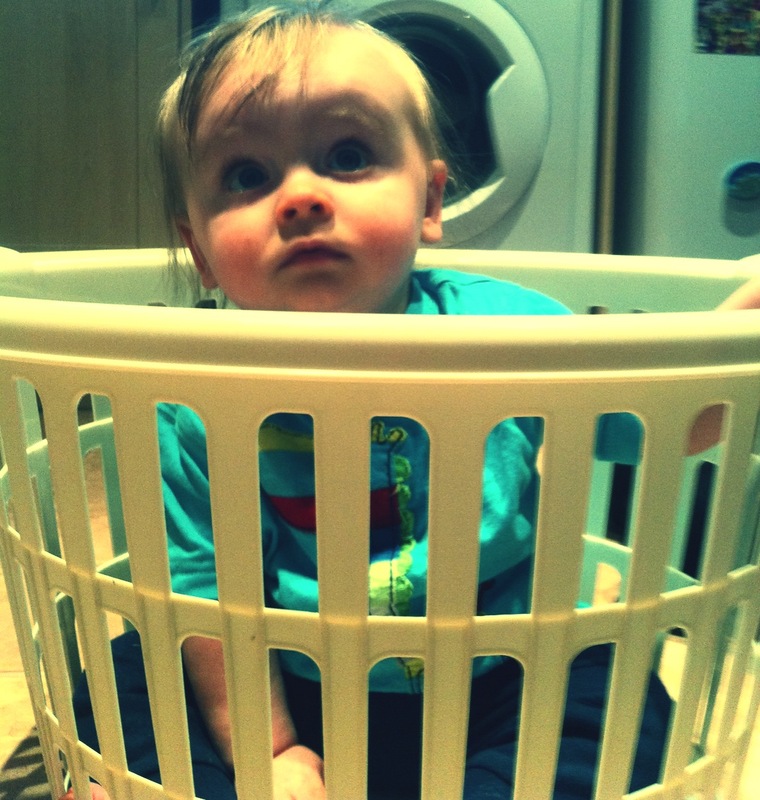 Another outfit in the wash for Dexter and Mummy. Do I really need to start wearing orange only? Its unfair as it clashes badly with my hair. So what are the solutions? Can I just feed my son rice and pasta? Should I dress us both in vinyl clothes? Should I dress us in clothes at all? Sorry too much……. Seeing as he’s only 7 months old I’m pretty certain he’ll be getting grubbier than just a bit of dribble and puke in the future. The thought of mud up my stairs does scare the hell out of me but I’m hoping he’ll have strong enough arms to clear up after himself. And I know the bodily fluids he’ll be omitting from his body will only increase in volume the bigger he gets but as soon as I am back to work the childcare is halved and my half will be just the cuddles and fun. The other half can have the wet half. Right I’m off to unload the washing machine. AGAIN. I have read this blog and can understand your despair because as a mum i experience the same problem. My child is huge dribbler and always being sick on his t-shirt. But he always has a dirty bottom too. To solve this problem I use tushies babywipes to clean him on regular intervals. I use these baby wipes on his skin in general and not just on his bottom as they are soo sensitive and neutral to the skin.